Joseph A. Greenaway, Jr. received his commission from President Obama as the sixty-second jurist appointed to the United States Court of Appeals for the Third Circuit on February 12, 2010. Judge Greenaway was sworn in on February 24, 2010. He sits in Newark, New Jersey. Judge Greenaway earned his B.A. in history from Columbia College in 1978 and graduated from Harvard Law School in 1981. His legal career began as a litigation associate with the New York law firm of Kramer, Levin, Nessen, Kamin and Frankel. After a clerkship with the late Hon. Vincent L. Broderick of the U.S. District Court for the Southern District of New York, he returned to the Kramer, Levin firm for two years. In 1985, Judge Greenaway joined the United States Attorney’s Office for the District of New Jersey. After several years, Judge Greenaway was promoted to Chief of the Narcotics Bureau. He prosecuted the government’s case against Wayne Pray, a.k.a. Akbar, which resulted in Akbar being sentenced to life in prison without the possibility of parole. Prior to his appointment to the federal bench, he served as in-house counsel for Johnson & Johnson, the healthcare conglomerate. On July 26, 1996, at the age of thirty-eight, Judge Greenaway received his commission from President Clinton as the sixty-seventh jurist appointed to the federal bench in New Jersey. Judge Greenaway was sworn in as a federal judge on September 20, 1996. Judge Greenaway is a member of the Columbia University Board of Trustees, a former member of the Columbia College Board of Visitors, Chair Emeritus of the Columbia College Black Alumni Council, and a former secretary of the Columbia College Alumni Association. Judge Greenaway is a member of the American, National, and Garden State Bar Associations. From 2002 to 2006, Judge Greenaway was an adjunct professor at Rutgers School of Law in Newark. From 2007 to 2012, he served as an adjunct professor at Columbia College, where he taught a seminar on the Supreme Court. Currently, he is an adjunct professor at Cardozo School of Law, where he teaches courses on trial practice and appellate advocacy. In November 1996, Judge Greenaway received the New Jersey Corporate Counsel Association’s Distinguished Service Award. He was the 1997 recipient of the Columbia University Medal of Excellence, the 1999 recipient of the Garden State Bar Association’s Distinguished Jurist Award, a 2003 recipient of Columbia College’s John Jay Award, a 2007 recipient of the Thurgood Marshall College Fund Award of Excellence, and the 2007 recipient of the Roger M. Yancey Award from the Garden State Bar Association. In 2010, Judge Greenaway received the Scales of Justice Award of Excellence from the Caribbean Bar Association of New Jersey, and the Leaders and Legends Award from the YMWCA of Newark. The New Jersey Women Lawyers Association presented the 2011 Trailblazer Award to Judge Greenaway. 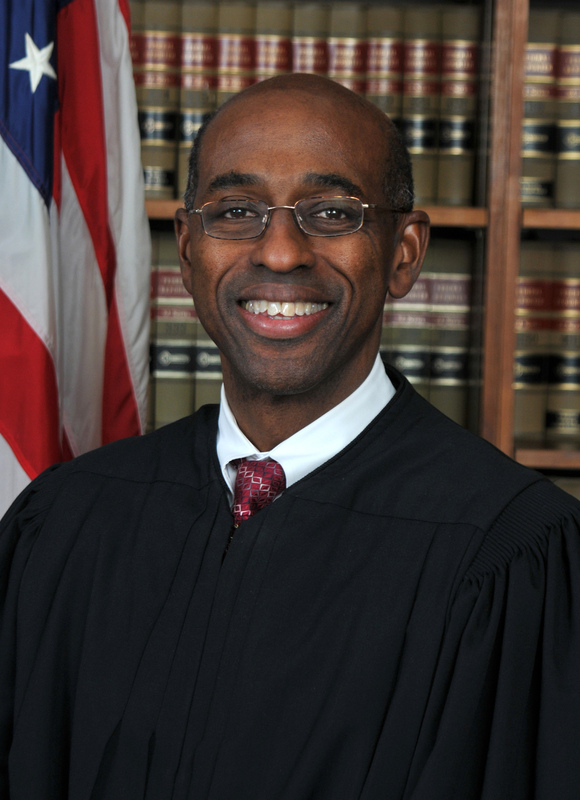 Judge Greenaway received an honorary Doctor of Laws degree from Suffolk University in 2013. Columbia University recognized Judge Greenaway with an Alumni Medal in 2014. In 2015, the Association of the Federal Bar of New Jersey recognized Judge Greenaway with the William J. Brennan, Jr. Award. His alma mater, the Bronx High School of Science, inducted him into its Hall of Fame in 2018. In 1998, Judge Greenaway delivered the Class Day address at Columbia College’s commencement. In 2006, Judge Greenaway delivered the commencement address at Cardozo School of Law. He also presented Rutgers Law School’s Weintraub Lecture in 1998, which was published as Judicial Decision Making and the External Environment, 51 Rutgers L. Rev. 181 (1998). Judge Greenaway’s other publications include: Interview with Gary Naftalis, 41 Litig. 17 (2014); Sua Sponte: Commentary on How to Winnow Arguments on Appeal, 40 Litig. 31 (2014); Have We Crossed the Bridge Yet?, 1 Colum. J. Race & L. 163 (2011); The Evidence Rules Every New Trial Lawyer Should Know, 36 Litig. 3 (2010); An Oath for the Profession: What Do We Owe Each Other?, 35 Litig. 1 (2008); Constance Baker Motley and the Struggle for Equal Justice, 29 Litig. 6 (2003); The Promise of America, 37 Cardozo L. Rev. 1167 (2016); and Diversity in the Law, 43 Litig. 6 (2017).